Enhanced quality, longer playtimes and increased amplitudes. Meet HD Vinyl! Read more about High Definition Vinyl and its potential 2019 release. Audiophiles and equipment are about to get the audio they deserve! Was discussing this at my local music shop. I never saw so much excitement from a scrawny pale faced guy. Henry Rollins is probably having multiple orgasms just reading about this. Well this sounds amazing, but the moment I read digital audio, my hopes dropped dead. All depends on what quality the digital masters will be, If the are master tape quality (dsd or dxd) then this is pretty good news. Otherwise I doubt it would sound as lifelike as old school master quality vinyl does. I hate vinyl. It's big, heavy, and very easy to damage. I also hate cleaning records and replacing styluses. I do have some fond memories, but like everything else things move on. I'm not the most nostalgic bloke you'll ever meet and welcome improvements but a DAC is enough for me. I've got about oo, 50 records? in the loft and they weigh a ton. It has always been easier enough to improve the quality of vinyl but for most people there was little interest. Back in the early 80s there was a company (I forget their name) who made very high quality pressings of classic albums but cost 3x the price of the regular record. Having said that their reissue of "Ziggy Stardust and the spiders from mars" album really was out of this world for sound quality and would easily beat any version you can get on any media these days. It was a dying format. 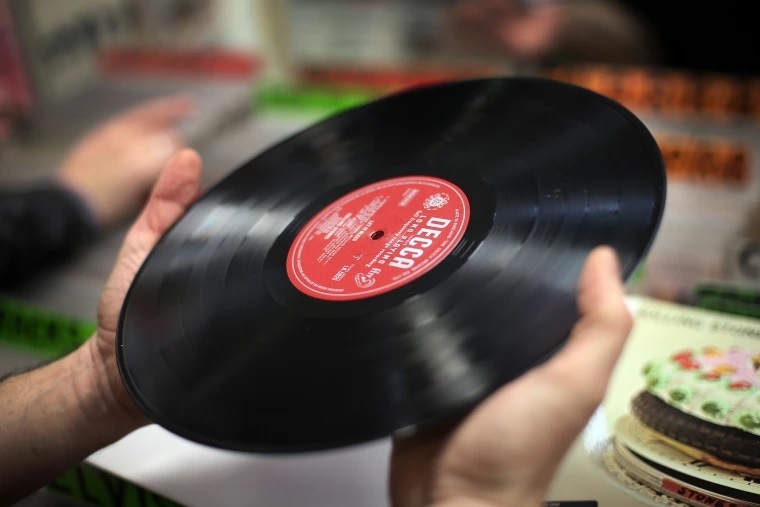 Vinyl in the past few years is on a resurgence. Which is the only reason why this new technology exist. In the US if I remember the figures correctly have tripled per month in sales or something along those lines. Wow, this is awesome. I wanted to get into vinyl four or five years ago, but it never amounted to anything. Great article as well, Mark. I'm into the whole "retro" synthwave genre, but I much rather have my .flac files.